Nonprofit organizations that become members of PMC receive certain video production benefits (click here to see a list of those benefits). Each nonprofit member who uses those benefits has a page on this website with all the most recent videos that we've produced for them. The list below is our current nonprofit members. View their logo and description, then click on the button to their page of videos or to visit their website. Located in the Arts District of downtown Portland, the Children's Museum & Theatre of Maine features a wide variety of interactive exhibits and activities for children and families! ProsperityME (formerly Community Financial Literacy [CLF]) offers financial literacy courses and one-on-one financial counseling for individuals and families. Our services are open to all refugees, immigrants, asylees, and low-income individuals in Greater Portland and Lewiston/Auburn, Maine. Collective Commitments is a social enterprise club intent on finding public service projects that benefit Mainers and are ones where our talents can make a difference. Over the past 3 years we chose a different project each year where we thought we could add value. Employees Credit Union of Maine. What started as an organization run out of our first manager’s desk drawer grew to occupy the post office building at 125 Forest Avenue in Portland. Our headquarters moved to 555 Forest Avenue in 1986, and ten years later moved to our current location at 50 Riverside Industrial Parkway. cPort has four branches located in Portland, Augusta, and Scarborough. The County of Cumberland was incorporated in 1760, named after William, Duke of Cumberland, son of King George II. The county is comprised of three cities: Portland, South Portland, and Westbrook and twenty-five towns: Baldwin, Bridgton, Brunswick, Cape Elizabeth, Casco, Chebeague Island, Cumberland, Falmouth, Freeport, Frye Island, Gorham, Gray, Harpswell, Harrison, Long Island, Naples, New Gloucester, North Yarmouth, Pownal, Raymond, Scarborough, Sebago, Standish, Windham, and Yarmouth. The city of Portland is the county seat. The area of the County is 853 square miles. The population as of December 2000 is 265,612. 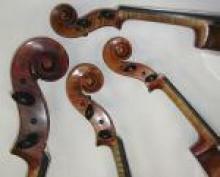 An informal classical chamber music series designed to appeal to all, from beginners to enthusiasts. Each lively one-hour concert includes insightful discussion, demonstration, and performance of great chamber music masterpieces. The purpose of First Baptist Church is to lead people into a growing relationship with Jesus Christ. First Baptist Church is a congregation of nearly 800 people coming together to grow in Christ. We offer several worship service options, numerous Small Group home meetings, service opportunities, children's programs, student ministries, college ministries, missions programs, programs for seniors and a young adult ministry program. The Friends of Congress Square Park is a volunteer run organization. Our dedicated volunteers – neighbors just like you – make it all possible. There are lots of ways for you to get involved in activating this important community gathering place – such as putting out tables & chairs, greeting at events, placemaking data collection, or social media marketing. Our mission is to restore Fort Gorges to make it safe and keep it accessible to future generations. We believe in its historical significance, as well as its educational and cultural potential. Friends of the Eastern Promenade is a nonprofit community organization committed to preserving the park’s historic public landscape, protecting the environmental integrity and enhancing recreational use. Greater Portland Landmarks preserves and revitalizes the architectural fabric, history, and character of greater Portland – renewing our neighborhoods, spurring economic development and keeping Portland one of the most liveable cities in America. We hope you feel welcome as you enter and explore our parish web site Feel free to come back and visit often as we continue to build and add to the site. Of course, know that you are always welcome to visit and worship with us in person too. Hour Exchange Portland is a service exchange based on Time, the currency of equality that empowers individuals to utilize their assets and enhance their lives, neighborhood and community. Independence Association, Inc., was founded by area families in 1967 to provide educational programming for children with mental retardation prior to mandated public education for all children. This nonprofit organization now comprises 25 programs, including 15 residences, day habilitation and in-home supports, case management, an array of employment supports and class offerings, as well as the unique and nationally-renowned Spindleworks arts program and gallery. The Iris Network recognizes the diverse aspirations and abilities of people who are visually impaired or blind. Our services are based on respect for each individual’s right to self-direction through informed choices. We believe that the education and integration of all individuals will result in a stronger society. LearningWorks is a dynamic community-based organization. We started in 1967 as a grassroots neighborhood advocacy movement to protect the working people of the west end and never stopped moving forward with the community. Today LearningWorks is a social service agency that serves people all over Androscoggin, York, and Cumberland counties. We serve young children, at-risk youth, and low-income families. Maine Voices for Palestinian Rights is engaged in educational outreach in a wide variety of ways to help Maine’s citizens and Congressional delegation to understand the causes of the conflict between Israel and the Palestinians and ways to move toward both peace and justice. We organize periodic vigils, provide speakers, show films, meet with Maine’s Congressional members, and contact local media in our efforts to move beyond conflict to a just peace. The mission of Oceanside Conservation Trust is to facilitate the conservation of wild or undeveloped open space, scenic areas, and historic landmarks in the Casco Bay region and to foster low-impact and respectful access to these resources, as well as to enhance the cultural, economic, and civic well-being of residents and visitors. •We strive to involve community members in our decision-making processes and the day-to-day work of the organization. •We work to promote the skills and abilities of all concerned people to more effectively work on our issues and other issues of concern to them. •We seek to be a source of information and inspiration for all who would stand for peace. We are a professional company and acclaimed school dedicated to arts and education. Our power is grace, our grace is our power. Portland Ballet stretches the boundaries of dance in Maine. Creating vivid new works by resident choreographers alongside beloved classics and holiday favorites, the company sets the bar for dance in northern New England. Portland Playback Theatre joins the art of improvisation with real-life stories spontaneously shared by members of the audience. Using movement, dialogue and music, our actors seek to honor the countless moments and events that shape our lives. The library mission is to serve the Greater Portland Community by providing a diverse collection of books and other resources, with access to information resources worldwide. The library's services support the educational, informational, and recreational interests of all community members. The Portland Water District is a quasi-municipality providing water, wastewater, and environmental services to 11 Greater Portland communities. Our 190 employees are dedicated to providing quality services to a population greater than 190,000. Portland Trails is a non-profit urban land trust dedicated to building a network of multi-use trails in the Greater Portland (ME) area. oldest and largest environmental advocacy organization in North America. Our mission is to explore, enjoy and protect the planet. The Maine Chapter, celebrating our 25th year in 2018, is a volunteer-run grassroots organization, working with volunteers like you to: protect Maine’s wilderness heritage, fight global warming & promote smart growth, safeguard Maine’s clean water and coastline, promote clean air and energy efficiency, hold public officials accountable and support pro-environment candidates for public office. The Southern Maine Conservation Collaborative assists York and Cumberland County conservation organizations to acquire, manage and steward land in their communities by providing professional support services and networking opportunities. It functions as a co-operative service center, with member organizations pooling funds to purchase the types of staff help for which there is common need. The goal of the Conservation Collaborative is to increase the effectiveness of the conservation organizations and to strengthen the regional network between these organizations in York and Cumberland County. The institution now known as the University of Southern Maine (USM) has been many things to many people since first opening its doors to the public in late December of 1878. Today, the University of Southern Maine, northern New England's outstanding public, regional, comprehensive university, is dedicated to providing its 9,700 students with a high-quality, accessible, affordable education. Through its 115 undergraduate, graduate, and professional programs, USM faculty members educate future leaders in the liberal arts and sciences, engineering and technology, health and social services, education, business, law, and public service. As a public, regional, comprehensive university, our mission places us at the heart of this region's future. USM students will be the artists, business people, engineers, health care workers, public servants, teachers and others whose talents will fuel our economy—and shape tomorrow's world. WMPG’s purpose is to provide a high quality, community-oriented broadcast service to the people of Southern Maine by: providing a full-time schedule of music and culture, news and information; promoting awareness and discussion of local issues and activities; promoting awareness and discussion of global issues and culture; presenting artistic, cultural, and political perspectives which are underrepresented in mainstream media; promoting acceptance, understanding, and cooperation between people and cultures; fostering new and experimental uses of radio as a medium for creative expression; approaching radio as a dynamic medium for community dialogue, introspection, and expression.